Mantra Samplers by Maribeth Egan is now at display Artisphere's Mezz Gallery. Egan is the artist who painted the fantastic murals at the rockin' Bardo Rodeo bar that used to be just a short walk from downtown Rosslyn. Compared to that earlier work, Mantra Samplers is more fragmented, abstracted, and introspective. Mantra Samplers consist of largely grey-tone, digitally altered ink-jet prints with overheard phrases stitched into the prints. 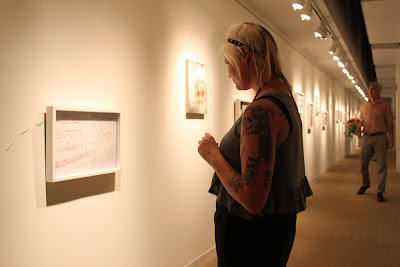 White-cord stitching connects the frames of the individual phrases and provides a unifying thread for the exhibition. Look at the phrase, and meditate on what it meant to another, and what it means to you. 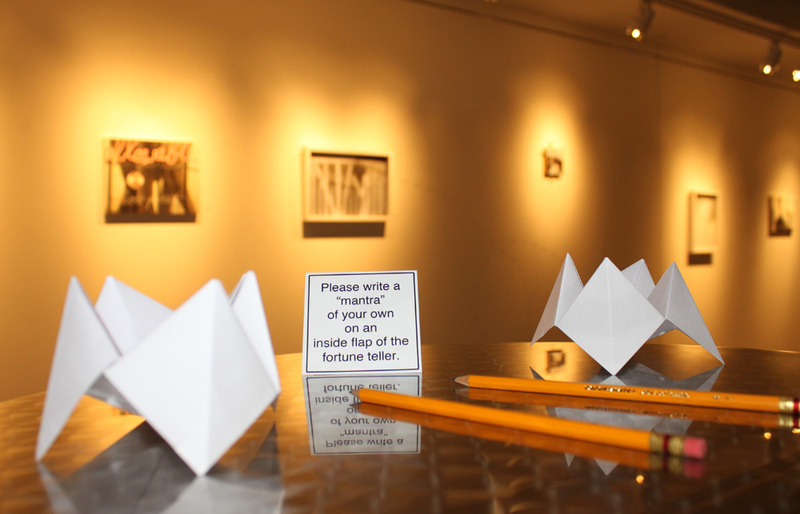 Mantra Samples is on display through Saturday, Sept. 24, 2011. Admission to this exhibit, and many other wonders at Artisphere, is free.